Is it time to update your home in Charlotte, NC? 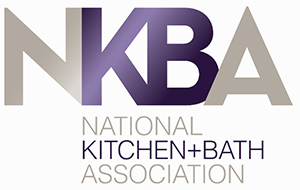 – Our bathroom and kitchen remodeling contractors are qualified to handle any project-Signature Home Kitchen & Bath is a member of the National Kitchen and Bath Association (NKBA), the country’s leading association of the kitchen and bath industry. We’re rated A+ by the Better Business Bureau, and we’ve been Charlotte, NC’s premier interior home renovation company for over 25 years. Is it time to update your home in Charlotte, NC? - Our bathroom and kitchen remodeling contractors are qualified to handle any project-Signature Home Kitchen & Bath is a member of the National Kitchen and Bath Association (NKBA), the country's leading association of the kitchen and bath industry. We're rated A+ by the Better Business Bureau, and we've been Charlotte, NC's premier interior home renovation company for over 25 years. 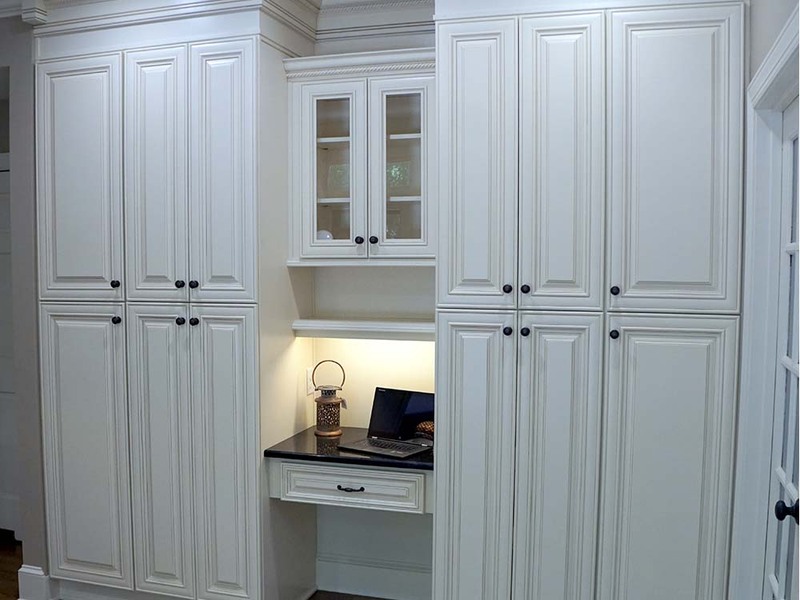 If you’re ready to transform your outdated house into a modern home, make an appointment today with our home and kitchen remodeling contractors in Charlotte, NC. I am so thankful that I chose Scott with Signature Home Kitchen & Bath as my remodeling contractor. I really wanted to find someone to give me the quality workmanship I desired, something I have always been disappointed about with previous contractors. Scott, Charlie, and Sam are true craftsmen, trustworthy, and actually fun to work with. 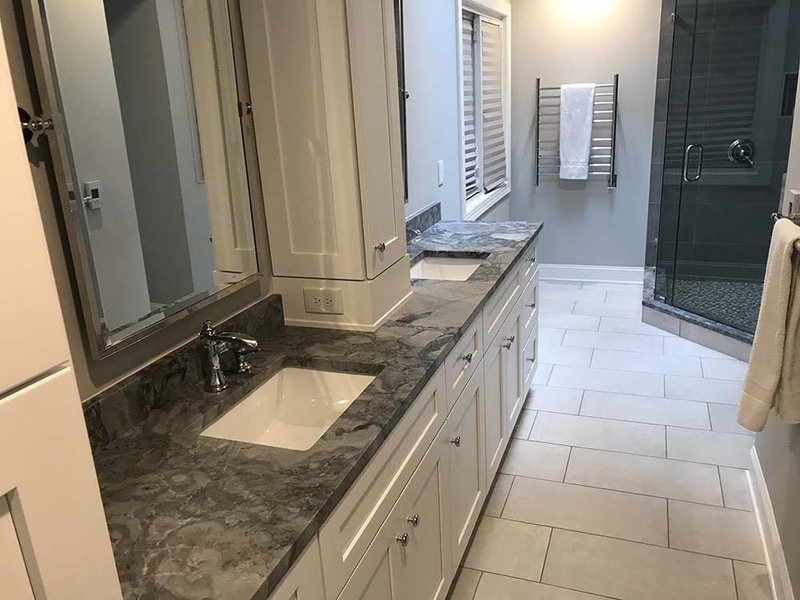 I had planned to just remodel my master bath, but was so impressed with their work that I decided to have them do my guest bath and then a complete renovation of my kitchen. They may not be the cheapest (you get what you pay for) or the fastest (worth waiting for the best), but if you are looking for quality, Signature Home Kitchen & Bath is the way to go. Warning – you will find them to be such a pleasure to work with and the quality of their work so outstanding that you’ll want to keep them around to do your whole house! | Linda A.
I received quotes from a few contractors for a kitchen remodel. Scott was the first to actually talk through what he was thinking and try to understand what ideas I had. In the end, the kitchen was better than I had envisioned. The overall costs were reasonable, especially considering this is an older home, and the job was done right…rather than quick. We weathered the holidays, a Meck county shutdown, surprise wiring and structure problems–and still everything was done within a reasonable time.! | David C.
Our kitchen turned out beautifully. Scott was great to work with, and provided helpful insight throughout the process. He could easily identify what I was imagining, and make it a reality. Though they had to put up with my obnoxious dogs while working, the team did a wonderful job. | Stephanie M.
It has been a few months since our bathroom remodel was completed. Now that I have been using the bathroom (and everything works perfectly), I love it even more than when it was completed. It is an Art Deco design and Signature Home did everything to make my dream complete. We were able to stay within our budget and Scott was extremely helpful in making the project a huge success. All of the personnel who came into our home were courteous, helpful, and professional. 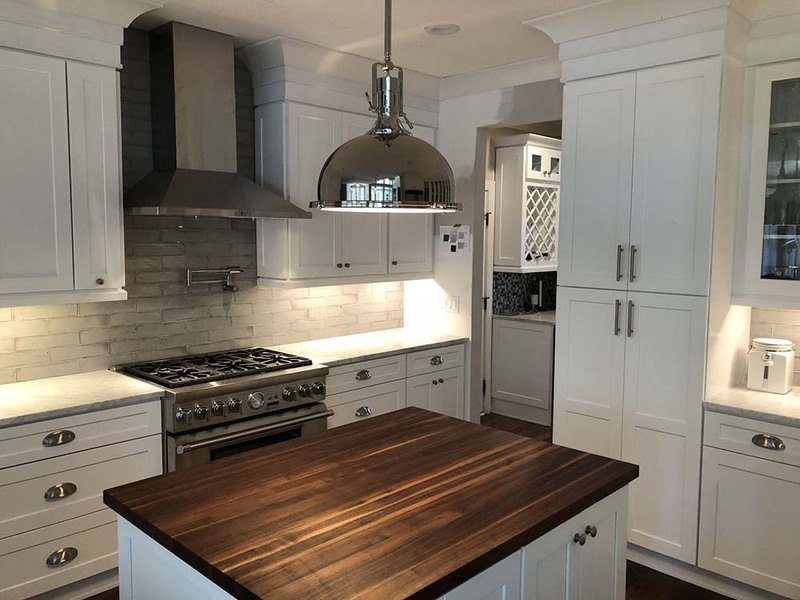 I would highly recommend Signature Home Kitchen & Bath Remodeling to anyone in the Charlotte, Lake Norman area who is looking for a kitchen or bathroom remodeling contractor. Thanks Scott!| Marc E.
Scott and team did a great job on our kitchen remodel. They went above and beyond the design and making best use of the space. Would highly recommend.| George W.
So in love with my new kitchen! Scott and his crew totally transformed the whole space which made the kitchen more functional and open. The crew at Signature Home were great to work with, very professional, and they take great pride in their work. I will definitely be calling them again to do more upgrades to my home.| Tracey T.
Scott did an amazing job renovating our kitchen! At the planning stage he offered great ideas and suggestions with an experienced eye toward practical and aesthetic concerns, without being pushy at all. I’m so glad I went with his recommendations. He and Charlie were patient and understanding about the fact that our large busy family had to live in the house during the work. They were very considerate, keeping things clean and safe for the kids. They were also very pleasant to work with, throughout sometimes stressful decisions and situations. I can’t say enough about the hard work and expertise that went into my beautiful kitchen. Scott went above and beyond my expectations, and I never felt like our kitchen was just another job to him. He is justified to take pride in his work! I also never felt like strangers had taken over my house, which can happen with a big job like this. Everything was done on schedule in a timely manner, and the cost was very reasonable. Thank you Scott, we love our new kitchen!| Jean P.
I was hesitant to take on a full home renovation for fear of contractors, based on past experiences. Any home renovation project can be extremely stressful, never mind such a large one. I am a person that knows what I want; I pay special attention to detail, and expect quality workmanship. So I said a prayer and began to screen the candidates. Scott was the answer to my prayers. He put my fears to rest after the first visit. He even had my mom and sister’s vote. Scott listened to my ideas, needs, and concerns, and made some very good suggestions. I chose Signature Home because of his honesty, ideas, clear planning and scheduling, and reasonable pricing. Scott is always available via phone/text. He worked with me to incorporate my specific taste. His team delivered what they promised – a beautiful kitchen, two fantastic bathrooms, all on time and on budget. I receive compliments from family, friends, and even delivery people. Scott guarantees his work after the job is complete and will send members of his team back to address any issues. I recommend Scott and the Signature Home team and will work with them again. To Scott and his team: I am extremely grateful to you for transforming my house into my dream home, a home I can be proud of. Thank you.| Janet S.
IS IT TRUE? COULD GRANITE’S 30-YEAR REIGN BE COMING TO AN END?